Established in 2011 by owner, Michelle Wise, That Party Chick has quickly become a resource for party planners across the country! From party invitations to decorations to gifts, That Party Chick has helped over 50,000 customers set the stage for amazing events. Whether you are styling a birthday bash, shower, wedding or a holiday event, That Party Chick can help you transform your event from ordinary to extraordinary! Why work with That Party Chick? That Party Chick works hard to make sure each customer loves the products and is 100% satisfied. The company offers unique, creative designs that help make your party fun and memorable. When you work with Michelle and her team you can expect awesome customer service, quality work, and fast turnaround times. 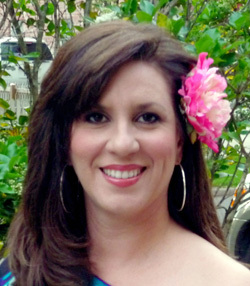 Michelle Wise is the owner and creative force behind That Party Chick’s portfolio of party designs. Michelle is a CPA as well as a graphic artist. As a result of her accounting profession in management for a Fortune 500 Company and working in corporate communications, she was introduced to graphic design. Michelle’s natural design talent and love for entertaining became the catalyst for That Party Chick. From start to finish she loves the process of taking an idea and seeing it come to life. Not wanting to miss a single moment of seeing her two beautiful daughters grow up, she made the decision to open her own business rather than return to the corporate world. Naturally as a mother of two girls, Michelle has had many opportunities for party planning. One day she took one of the invitations she had created for her daughter’s birthday party on Etsy. It sold! She designed another, and it sold too! The next thing she knew she was not only selling items she had previously designed, but customers were so happy with her work that she started getting custom orders. What started as a curious listing on Etsy quickly turned into much more, and That Party Chick was born. Today she ships her party products worldwide from New Orleans, Louisiana, where she lives with her husband, who enthusiastically supports his wife’s entrepreneurial spirit!